Administrative Law Judge (ALJ) Darrell Lepkowsky, from the Office of Administrative Hearings (OAH), heard this matter in Blue Jay, California, on August 27 through 30, 2012, and on September 4 and 5, 2012. Vivian E. Billups, Attorney at Law, represented the Rim of the World Unified School District (Rim of the World) and the East Valley Special Education Local Plan Area (SELPA) (herein, the two school entities will be referred to collectively as the District). Laura Chism, a program manager for the SELPA, attended all hearing days. Director of Pupil Personnel Services Joshua Hill, for the Rim of the World Unified School District, attended the first four days of hearing. Student was represented by his Mother and Brenda Longley, who is a special education advocate. Mother and Ms. Longley were present for all days of hearing. Student was further represented by his Father and paternal Grandmother (Grandmother). Father was present for the first four days of the hearing. Grandmother was present for days three and four. The District filed its Request for Due Process Hearing on April 25, 2012. On May 16, 2012, the undersigned ALJ convened a prehearing conference in this matter at which time she granted Mother’s request for a continuance. On August 30, 2012, the ALJ granted the parties’ request to continue the matter to September 4, 2012. 1 Mother attached an exhibit to her closing brief that contains Student’s scores on state-wide testing from spring 2012. Mother stated that she had not received the scores until the day after the hearing ended. However, since the scores were not addressed at hearing, the ALJ has not considered them in arriving at her decision in this case. 2 At the hearing, the ALJ granted the District’s unopposed motion to submit the resume of Dr. Scott Gutentag at the time it filed its closing argument. The ALJ has marked Dr. Gutentag’s resume as District’s Exhibit 26 and admitted it into evidence. 3 After discussion at hearing, the parties agreed that it was appropriate for the ALJ to determine whether the District has proven that Student was not eligible for special education from the date of his April 23, 2012 IEP up to the date of the hearing. Is the District’s individualized education program (IEP) dated April 23, 2012, appropriate such that the District may exit Student from special education over his Mother’s objection? Student does not have speech and language deficits or adaptive physical education deficits that require special education intervention. Since these two areas are not at issue, the District did not have to present any evidence as to its position that Student did not require services in those areas. Student has significant handwriting deficits. However, the parties dispute the basis of this deficit and whether Student requires special education instruction or services to address it. Based upon this stipulation, Student was not required to prove through Student’s work samples the often poor quality of his written work product. Since the question of speech and language services was no longer at issue in the case, the ALJ struck the partial testimony of speech and language pathologist Elizabeth Paganini, who had not finished testifying at the time the parties entered into their stipulation. 1. Student is a young man who is almost nine years old. As of the hearing in this case, he had just begun third grade. At all relevant times, Student lived within the boundaries of the Rim of the World Unified School District. 2. Student’s parents were divorced when he was about three years old. The divorce has been the source of some conflict in Student’s life. For example, in the instant case, Father and Grandmother support the District’s recommendation that Student be exited from special education. Mother believes that Student still requires the support and services provided to him through the IEP process. 4 Father and Mother are under a family court order that neither can sign Student’s IEP’s if they are not in agreement with each other. 3. Student and his family previously lived in Central California. In April 2007, when Student was about three and a half years old, his preschool teacher referred him for assessments to his then school district of residence, the Paso Robles School District (Paso Robles) because she was concerned that Student might have deficits in speech and language, sensory issues, social skills, and behavior. Based upon the results of these assessments, Paso Robles found Student to be eligible for special education under the category of speech and language impaired. The assessments also found Student had delays in his fine motor and social skills. Student’s initial IEP provided him with speech and language services in a preschool setting. 5 No evidence was presented at hearing as to why Student repeated kindergarten. 6 The terms “general education” and “regular education” were used interchangeably by Student and the District at hearing and in exhibits. They are used interchangeably in this Decision as well. 4. Paso Robles completed a more comprehensive assessment of Student in December 2007. The assessment determined that Student had average intellectual ability but had global delays in adaptive behavior. Student’s behaviors, which included difficulties in focusing, in maintaining attention, in controlling and monitoring his activity levels, impulsivity, and seeking sensory stimulation, were impeding Student’s ability to access his education. The Paso Robles psychologist found that Student’s eligibility should be changed to other health impaired (OHI) based upon Student’s inability to sustain the necessary levels of attention to benefit from academic instruction without special education support. The psychologist also found that Student did not exhibit autistic-like behaviors. Student’s IEP placed him in a special day class at a preschool. The following year, Student was placed in a special day class kindergarten. He then repeated kindergarten 5 in a general education classroom 6 with special education support provided in the classroom. 5. Student moved with Mother and his older half-sister in the fall of 2010 to a home within the boundaries of Rim of the World. Father remained living, as he does presently, in Central California. Father continues to have joint legal custody of Student and has frequent visitations with him. Student began attending school at Rim of the World on September 21, 2010, shortly after the beginning of the 2010-2011 school year. Student was in first grade that year. 6. The District provided Student with an interim IEP when he first registered for school. On October 20, 2010, the District convened a 30-day IEP meeting for Student to review his progress and his educational program. Mother and Grandmother attended the meeting. 7. Student’s first grade teacher was Diane Poarch. 7 Although Student had been in the top reading group the previous year when in kindergarten in Paso Robles, his reading abilities placed him in the lowest reading group in Ms. Poarch’s first grade class. However, she noted that Student was making progress in reading, was adjusting to her class, and was making friends. Student’s full IEP team agreed to continue the placement and services from his Paso Robles IEP: placement in a general education classroom with a one-on-one aide six hours a day; specialized academic instruction (often referred to as a resource specialist program; abbreviated here as SAI) for 30 minutes a week in a separate classroom on a pullout basis; 8 pull-out language and speech services (LSH) for 200 minutes a month; and 120 minutes per month of push-in occupational therapy (OT) services. 8. Student’s IEP from Paso Robles also included a behavior support Plan (BSP) that had been based upon a functional analysis assessment done for Student. The BSP was designed to help re-direct Student’s off-task behaviors, his impulsivity, and his distracting behaviors like falling out of his seat on purpose, blurting out comments, making silly faces and noises, and wandering around the classroom. The BSP stated that Student’s behaviors were done to get attention, to avoid non-preferred activities, and to get sensory breaks. To address the sensory issues, the BSP indicated that Student would be instructed in sensory strategies and tools by school staff under the supervision of a school occupational therapist. Interestingly, none of Student’s behaviors prompting the BSP were identified as more than moderate in duration. 9. To address Student’s attention issues, the BSP laid out strategies to establish clear and consistent behavior expectations for Student. The strategies were: a) provide simple explanation of expectations; b) role play in the SAI setting, providing brief explanations of what Student was doing right along with positive reinforcement and brief explanations of expectations if he did not understand directions; c) provide coaching and praise in the general education classroom to Student or peers whose behavior Student should emulate; and d) establishment of a positive behavior reinforcement system based upon a token economy where Student would receive points to get rewards. The BSP also included strategies to use if Student’s problem behaviors were to continue. 10. Although the District agreed to implement Student’s BSP, District IEP members had concerns that Paso Robles had indicated that an occupational therapist was to implement the BSP rather than a behavior specialist. The District occupational therapist, Jo-Ann Vargas, informed the IEP team that what were first thought to be sensory issues actually might be behavioral issues. Student was responding well to the structure of Ms. Poarch’s class and was easily redirected with verbal prompts. Although the IEP team agreed to try some sensory strategies with Student, such as the use of a weighted vest, the team also agreed that a new OT assessment was appropriate. Additionally, the team determined that a behavior specialist should review Student’s BSP in light of his present behavioral needs. As discussed more fully below, a SELPA behavioral specialist named Mary Anne Klenske was given the responsibility for this review. 11. Mother also informed the IEP team that a psychologist had diagnosed Student with pervasive developmental disorder-not otherwise specified. Based upon this diagnosis, the IEP team agreed that Student should be assessed for characteristics of Autism for his pending triennial assessment. The team also agreed that Student’s annual IEP and triennial IEP, both due in December 2010, would be completed on the same day. Mother agreed to and signed this IEP. 12. The District administered a triennial assessment to Student in the fall of 2010 in anticipation of his triennial IEP. It was not a multidisciplinary assessment; rather, each assessor administered his or her assessment, which included input for the other assessors, and completed a separate assessment report. The triennial assessment included a psychoeducational assessment administered by Dr. Gary Smith, a District school psychologist who recently retired; an OT assessment administered by occupational therapist Jo-Ann Vargas, and an APE assessment and an LSH assessment. By stipulation of the parties, the latter two assessments and services are not at issue in this case. 13. Ms. Vargas, the occupational therapist who administered the OT assessment to Student, obtained her B.S. in occupational therapy from Loma Linda University and began her career in 1996 working with people who had traumatic brain injuries. She then spent several years working at hospitals, first providing direct care to adults and children, including evaluations of diagnoses requiring OT services. Ms. Vargas then became senior OT at Loma Linda University, and then a clinical manager responsible for supervising an OT staff of 26. She joined the SELPA in 2009 as an OT, and has been responsible for assessing children with potential OT needs, and providing direct services as well. She also supervises certified OT assistants. 14. Ms. Vargas assessed Student on two days in November and December 2010. Her assessment consisted of interviews with Student’s teacher, Mother, and Grandmother, as well as a questionnaire for Student’s general education teacher; observations of Student on the playground and in his classroom on two separate days; a review of Student’s records; and the administration of several standardized assessment tools. These tools consisted of the Sensory Processing Measure (SPM), the Wide Range Assessment of Visual Motor Abilities (WRAVMA), and the Bruininks-Oseretsky Test of Motor Proficiency (BOT-2). 15. Ms. Vargas administered her assessment using the Ecological Model of Student Performance as a guide, pursuant to the best practice dictates of the California Department of Education in its Guidelines for Occupational Therapy and Physical Therapy in California Public Schools. Ms. Vargas explained that the ecological model looks at a child’s OT performance in the whole school environment with an eye to determine whether the child has OT deficits that prevent him or her from accessing the task demands of the school curriculum. It is not a medical model; rather, the assessment process is meant to determine if a child needs OT supportive services in order to benefit from his or her IEP. 16. In reviewing Student’s records, Ms. Vargas found that although sensory assistance was provided to him in his general education classroom through the use of a weighted vest and a theraband (stretchy rubber tubing), both of which are designed to have a calming and organizing effect on a child, neither proved helpful. Student would not wear the vest, or would fiddle with it. The theraband did not help Student focus his attention. Rather, his teacher stated that it was consistent re-direction from her or from Student’s aide that kept Student on task. 17. Student’s teacher, Ms. Poarch, noted in her questionnaire that her greatest challenges with Student were his inability to do independent work, his disruption of other students, and his lack of self-control when doing independent work if he made a mistake or could not recall an answer. Student was distractible during class lectures and did not seem aware of other people’s personal space boundaries. Ms. Poarch also noted that Student had difficulty writing as his letters were much too large and difficult to read. Mother voiced many of the same concerns as had Ms. Poarch, although Mother stated that Student did not have attention issues when he knew the routine and did his homework on his own. Grandmother reported no sensory or motor problems in her observations of Student, and stated she believed that his handwriting problems were not related to fine motor issues as Student’s Father had also had issues with handwriting. 18. During her first observation, Student was getting ready to go to lunch. Although he displayed inappropriate behavior such as touching another child’s hair and getting too close to another child, Student immediately responded well when asked by the children to stop. Student’s gross motor movements in the hallway and at lunch were age appropriate. He was able to manipulate taking out and eating his lunch with no problems. Student did not appear to have trouble with the high noise level in the lunch area. He was able to reach down and pick things up without loss of balance. Student also was able to engage in appropriate conversations with his peers both at lunch and later on the playground. On the playground, Student was able to engage in the physical play without issues, displaying good postural control, overall strength, and range of motion. 19. Ms. Vargas conducted a second observation of Student in his classroom a few days after the first. She explained that while one observation was all that was necessary for an assessment, she felt it better to do two just in case Student’s behavior during the first was not normal for him due to outside stressors. Ms. Vargas noted during this observation that Student sometimes required less prompting and redirection that some of his classmates. During a story time on a rug in his class, Student sat quietly. When he began fiddling with the pants of a child sitting in front of him, and another time when he began to play with another child’s hair, Student stopped after the second time he was asked to stop. He raised his hand to ask questions, and was able to read sight words from the story without assistance. While at times Student yawned, looked around the room, and once blurted out something, other children in the class were displaying similar behaviors. 20. The WRAVMA assesses visual motor functioning in children. The drawing test measures integrated visual-motor ability and the matching test measures visual-spatial ability. On the visual-motor subtest, Student scored in the above-average range for children his age. On the visual-spatial test, Student scored well within the average range. 21. Ms. Vargas also assessed Student using the SPM. The SPM is a rating scale that assesses sensory processing, social participation and praxis, which is the ability to plan and organize movement. The scales were completed by Ms. Poarch. The classroom rating form results in eight norm-referenced standard scores in the areas of social participation, vision, hearing, touch, body awareness, balance and motion, and planning and ideas. Ms. Poarch rated Student as having a definite difference than the average in balance and motion, as displaying typical behaviors in vision, and as have some problems in the remaining six categories. 22. However, after having observed Student in the classroom, on the playground, and in testing, Ms. Vargas believed that Ms. Poarch’s reporting on the SPM may have been an anomaly, particularly her results of definite difference on the balance and motion portion of the ratings. Ms. Vargas therefore decided to administer an additional standardized test to Student using the BOTS-2, which is designed to assess motor functioning in children and adolescents. The assessment has four sections that measure fine manual control, manual coordination, body coordination, and strength and agility, the latter of which was not a suspected area of deficit for Student. 23. The fine manual control section is composed of testing fine motor precision and fine motor integration. Student scored in the average range in both. The manual coordination section is composed of manual dexterity and upper limb coordination subtests. Student score in the average range in manual dexterity and the above average range for upper limb coordination. The body coordination section is composed of bilateral coordination and balance subtests. Student scored in the above average range on both. 24. Student’s scores on the BOT-2 eliminated any concerns that Student had a sensory processing issue that was affecting things like his balance. Additionally, Ms. Vargas eliminated sensory processing issues as a deficit for Student after reviewing all aspects of her assessment for him. During her testing of Student, Ms. Vargas had tried using a “sensory diet” with Student by giving him breaks and activities. She had him do chair and wall pushups and other calisthenics. If Student had sensory integration issues, this should have helped him. However, Student was more disorganized and accelerated when Ms. Vargas used the diet, which did not have a positive effect on Student’s ability to stay seated or pay attention. She therefore changed tactics and began simply using a calmer tone of voice and giving him behavioral prompts and having him take deep breaths. This was successful where the use of the sensory diet had been unsuccessful. This indicated to Ms. Vargas that Student did not have sensory integration issues that required OT intervention. 25. Ms. Vargas explained that symptoms of attention deficit–hyper activity disorder (ADHD), a diagnosis which Student had been given at some point by an outside medical provider, mimic the symptoms of sensory dysfunction. She felt that the results for Student on the SPM needed to be reviewed with caution because of Student’s lack of attention and because of his contrary results on the BOT-2. 26. Student’s results on the BOT-2 also indicated that his fine motor skills were average. He had age appropriate reaching and grasping skills, used a pencil and scissors properly, and do all the tasks associated with the tests in an age-appropriate manner. Ms. Vargas’s conclusion was therefore that Student’s problems with writing were related to his attention deficits. She noted that his writing became legible when prompted to pay attention to it. 27. Based upon all aspects of her assessment, including observations of Student, interviews, and standardized tests, Ms. Vargas recommended that Student no longer needed direct OT services in order to access his education. 28. Dr. Smith, who testified at hearing in this matter by telephone, has an A.B. in psychology, an M.S. in school psychology, and a Ph.D. in education from the University of California-Riverside. His emphasis at the doctoral level was in special education, with additional coursework in educational psychology and research methods. He was a school psychologist with Rim of the World for 31 years before retiring, and was an adjunct professor at Azusa Pacific University for 13 years where he taught, among other courses, advanced educational psychology. Dr. Smith is also a Behavior Intervention Case Manager. At the District, his job duties included performing psycho-educational evaluations for special education referrals, participating in IEP meetings, providing crisis intervention and coordinating the District’s crisis intervention preparation. Dr. Smith has assessed some 3500 children over the course of his career. Dr. Smith was a thoughtful witness who answered all questions with due deliberation. He demonstrated no hesitancy in answering Mother’s questions as to why he believed that Student should be exited from special education at the April 23, 2012 IEP meeting. His testimony was therefore given significant weight by the ALJ. 29. Dr. Smith assessed Student on December 6, 2010, and reported his findings in an assessment report dated December 10, 2010. His assessment consisted of reviewing Student’s educational history, including a review of Student’s past IEP’s and assessments, observations of Student in the class and during the assessment process, and the administration of the following assessment tools: a) the Wechsler Intelligence Scale for Children, 4th Edition (WISC-IV); b) the Woodcock-Johnson Tests of Achievement, 3rd Edition (WJ-III); c) the Developmental Test of Visual-Motor Integration (VMI); d) The Behavior Assessment System for Children, Second Edition (BASC-II); and the Childhood Autism Rating Scale (CARS). 30. Dr. Smith indicated that he wanted to observe Student both in the classroom and during the assessment process on different days in order to obtain a broader understanding of Student. Dr. Smith observed that Student was often off-task more than most of the other children in the class. Student was also taking longer to complete tasks than the other children, was out of his seat more, and talked out more frequently. However, when viewed in comparison to the other first graders in his class, Dr. Smith determined that Student’s behavior was similar to that of about 25 percent of the children. Dr. Smith noted that Student at one time began to put his weighted vest on, but soon removed it and appeared to be distracted by it. Although Student appeared to exhibit distracted, random behavior frequently, he was never aggressive or particularly disruptive. Additionally, Student appeared totally aware and interested in what was going on in class. 31. Dr. Smith also observed Student during his administration of standardized assessments on December 6, 2010. Student exhibited impulsive behaviors during the testing, such as trying to start the testing tasks before Dr. Smith finished giving instructions. Student completed the drawings which are part of the VMI test too quickly, and became frustrated with items early on. Student would also appear to give up at the first sign of difficulty and appeared to have difficulty retaining more than one instruction at a time. However, Student exhibited appropriate eye contact with Dr. Smith during testing and appeared to be interested in the interaction and activities presented. He initiated conversation on several appropriate topics and was easily re-directed when he strayed from the topic at hand. 32. Dr. Smith administered 10 subtests of the WISC-IV to Student. Student’s Full Scale Intelligence Quotient (FSIQ or Full Scale IQ) was 91, which is in the average range. However, Student’s composite standard scores on the WISC-IV included a score of 75 in processing speed, which is in the borderline range of low intellectual capacity, an 80 in working memory, which is low average, a 100 in perceptual reasoning, which is average, and a score of 108 in verbal comprehension, which is in the high average range. Dr. Smith explained that Student’s scores on the WISC-IV indicated that Student’s ability to think with words was comparable to his ability to reason without the use of words since his verbal and nonverbal abilities were both in the average range. Student’s low scores in working memory indicated that Student had difficulties sustaining attention and concentrating that might make processing of complex information more time-consuming for him. Student’s low processing speed scores might make tasks of comprehending novel information more time-consuming for Student. Dr. Smith explained that Student’s low processing speed and working memory scores were consistent with the performance of a child with significant attention difficulties. 33. The WJ-III is a test of academic achievement. Student’s scores indicated an overall academic achievement in the average range, although his fluency with academic tasks was more in the low average range. Student’s score in broad reading was 91, his score in broad math (math is one of Student’s strengths) was 102, and his score in broad written language was 90. All these scores are in the average range and are comparable to Student’s Full Scale IQ of 91. 34. However, Dr. Smith noted that although Student’s overall scores did not reflect the severe discrepancy between ability and achievement that would indicate the presence of a specific learning disability (SLD), comparing Student’s verbal comprehension index score of 108 to Student’s broad reading score of 91 and broad written language score of 90, might indicate such a discrepancy. Dr. Smith’s assessment report therefore recommended that Student’s IEP team consider whether Student’s special education eligibility should include SLD in addition to, or in place of, his present eligibility category of OHI. 35. The BASC-II is an assessment designed to facilitate the diagnosis and classification of a variety of emotional and behavioral disorders of children and to aid in the design of treatment plans. The assessment consists of rating scales, which are given to a Student’s teachers and caregivers, such as parents. In this case, Student’s Mother, general education teacher, special education teacher, and one-on-one aide each completed the scales. The scales consist of a series of areas in which each rater scores the child. The scores will then indicate if the child has behaviors that are at-risk or clinically significant. 36. There was a significant discrepancy between the scores indicated by Mother and Student’s aide, and the scores indicated by Student’s general education teacher Ms. Poarch, and his special education teacher for SAI, Christine Gomes. Mother’s responses on the BASC-II resulted in scores for Student in the clinically significant range in nine areas and scores in the at-risk range in another five areas. The scores from Student’s one-on-one aide were clinically significant in three areas and at-risk in four areas. Conversely, Ms. Poarch, Student’s first grade teacher, only scored Student clinically significant in one area: hyperactivity (clinically significant for all raters on this BASC-II administration), and at-risk in six areas. Ms. Gomes, Student’s special education teacher, had no ratings for Student in the clinically significant range, and five areas in which she rated him at-risk. 37. The CARS is an assessment, which, like the BASC-II, is based upon rating scales completed by a child’s teachers and caregivers. Its purpose is to determine if a child is demonstrating autistic-like behaviors. Total scores from 15 to 29.5 reflect minimal symptoms of an autistic spectrum disorder (ASD). Total scores from 30 to 36.5 reflect mild to moderate symptoms of ASD and scores over 37 reflect severe symptoms of ASD. Dr. Smith had seven people complete the CARS rating scales for Student: his parents, his general education teacher, his aide, his LSH provider, a special education teacher who had administered the academic testing to Student, and Dr. Smith himself. The only rater whose raw score placed Student in the area of severe symptoms of ASD was Mother, whose raw score was 39. Every other rater, including Student’s Father, rated Student as having minimal symptoms of ASD, with scores ranging from 17 to 25. 38. On the VMI, Student’s scores reflected average fine motor and gross motor skills, as did his self-help and daily living skills adaptive behaviors. Student’s scores on the VMI comported with Ms. Vargas’s findings in her assessment process. Dr. Smith noted that Student’s expressive and receptive language functioning also appeared in normal range, a finding later corroborated by the speech language pathologist’s assessment. 39. Overall, Dr. Smith found that in most environments, Student failed to demonstrate any autistic-like characteristics or behaviors consistent with autism. Student did not exhibit a lack of social responsiveness or the repetitive behaviors characteristic of autism. Nor did he display other autistic-like characteristics such as language delays or lack of developmentally appropriate peer relationships. Dr. Smith did find that Student exhibited behavioral problems in the school environment which were attributable to attention deficits. Dr. Smith also stated that the divorce of Student’s parents and the ongoing conflict associated with it might be exacerbating Student’s continuing emotional and behavioral difficulties. 40. Student’s IEP team met on December 13, 2010, for his triennial and annual IEP reviews. Present were Student’s Father, Grandmother, Mother, and Mother’s advocate, Brenda Longley. District IEP members were Dr. Smith, Ms. Vargas, Ms. Poarch, John Elderkin, who at the time was the Director of Pupil Personnel Services for Rim of the World, Christine Swanson, a special education teacher who had helped assess Student, a speech language pathologist, an adapted physical education teacher, another District administrator, and a SELPA representative. 41. Student’s triennial IEP is not at issue in this case. However, it is important to note that in addition to discussing Student’s present levels of performance, discussing goals, and devising new ones, Student’s IEP team noted Student’s progress in class. The team discussed the fact that Student’s scores on the WJ-III were within the average range for a first grade student. Ms. Poarch informed the team that Student’s primary difficulties in class were with task completion and on-task behavior rather than with academics. Dr. Smith mentioned the possibility that Student’s test scores might indicate a specific learning disability. However, since Student’s scores were below the level that would indicate a significant discrepancy between ability and achievement, and due to the fact that there was no recommendation for increased services for him, Student’s IEP team did not feel that it was appropriate or necessary to designate him eligible for special education under the classification of SLD in addition to his primary classification of OHI. 42. It is also significant that Student’s IEP team discussed whether Student might have an ASD. Ms. Longley informed the team that Student’s scores three years earlier using a different tool for discerning autistic-like tendencies had been in line with Mother’s present rating of Student as probably being somewhere on the spectrum. However, Dr. Smith explained that observations of Student at school and the results of most of the CARS ratings indicated that Student’s behaviors were not consistent with autism. Other than Mother’s ratings on the CARS, there is no evidence that Student at the time of this IEP or since has evidenced autistic-like behaviors at school. 9 Student’s IEP team did later institute the TLP with Student but ultimately it proved not to be of assistance to him. Student did not like wearing the earphones and his teachers did not note any increase in his attention or focus based upon the program. 44. After hearing from other assessors and Student’s teachers, the District team members recommended ceasing Student speech and language services, and recommended attempting to fade out Student’s one-on-one aide by an hour per week. The District team members suggested addressing Student’s problems in the classroom with on-task behavior, task completion, and out-of-seat behavior by focusing on reinforcement issues. The District agreed to provide training, consultation, and support to Student’s educational team. 10 It is unclear from the record or testimony at hearing whether Student’s speech and language services did, in fact, cease after this IEP meeting. However, as noted above, the parties stipulated at hearing that Student’s speech and language services as well as his adapted physical education services were not at issue in this case. The District’s recommendation that Student did not require speech and language services is therefore not relevant to the resolution of the issue presented for hearing in the District’s due process complaint. 11 Mother also requested an additional independent assessment. This additional request is not at issue in this case. 12 See Student v. Garden Grove Unified School Dist. (2006) Cal.Offc.Admin.Hrngs. Case No. N2005070363, at p. 12. What was Student’s eligibility for special education? What strategies and supports did the Diagnostic Center recommend to meet Student’s learning and behavioral needs? What additional services did the Diagnostic Center recommend for Student? 47. The Southern California Diagnostic Center is run by the California Department of Education. 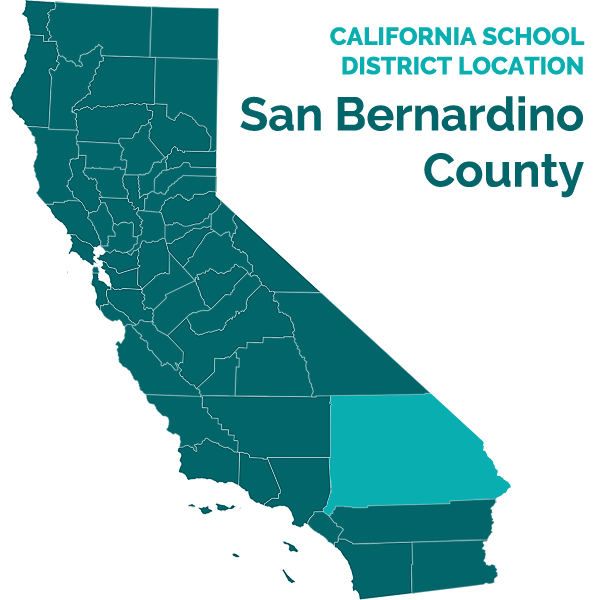 Its services are offered exclusively to California school districts and offices of education when local assessment opportunities have been exhausted but the district personnel have remaining, educationally-related diagnostic questions. 12 The Diagnostic Center does not accept all referrals. If a referral is accepted, the Diagnostic Center reviews the student’s records to determine the scope of the assessment it will do. In Student’s case, the Diagnostic Center agreed to address the three questions posed by the District. To answer the questions, the Diagnostic Center proposed assessing Student in the areas of cognitive development/learning rates/social affective development; communication development; and educational achievement/adaptive behavior. 48. Dr. Scott Gutentag was the Diagnostic Center case manager who headed Student’s assessment team. He has a master’s degree in psychology and a Ph.D. in school and clinical child psychology from Ohio State University. Dr. Gutentag completed a postdoctoral fellowship in pediatric psychology from 1996 to 1998 at the University of North Carolina, Chapel Hill. He has worked as either a school psychologist or a child psychologist since that time. He began working for the Diagnostic Center in 2007. Dr. Gutentag has been a team leader for the Positive Environments Network of Trainers (PENT) since 2010, a California state-wide organization which devises forums to train behavioral specialists in the California public school system. He has taught courses at the college level in child psychology and behavioral interventions, has published several articles in his field of expertise, and has, since 1996, given several presentations addressing various areas of psychology, behavior, and cognition. Dr. Gutentag was a convincing witness. He has impressive credentials and experience. He had thoroughly reviewed Student’s records as part of the Diagnostic Center’s assessment. Dr. Gutentag did not engage in advocacy for the District. As he explained during his testimony, the Diagnostic Center considers the child it is assessing to be its client, not the child’s parents or school district. Dr. Gutentag was therefore a neutral observer who, like the Diagnostic Center, was focused on Student’s needs. Dr. Gutentag’s testimony is entitled to substantial weight in deciding this matter because of his education, training, experience, knowledge of Student’s history, observations of Student in class and during the assessment process, and has thoughtful responses to all questions at the hearing. Dr. Gutentag’s testimony was direct and convincing and made clear that he fully understood the issues. His responses to Student’s questions were thoughtful as well and refuted Student’s principle contentions. 49. The Diagnostic Center has a backlog of cases. It is unclear from the record in this case when the District first sent out its referral, but the Diagnostic Center did not agree to accept the referral until July 11, 2011. Additionally, due to the backlog, it is generally several months after accepting a referral that the Center conducts the assessment. In Student’s case, the Center administered its assessment over a four day period the week of August 29, 2011. Two to four days is the average time the Center takes to administer its assessments. Generally, it spends less time with children who are more impacted by their disabilities. Dr. Gutentag explained during his testimony that Student’s assessment took four days not because he was non-compliant or engaged in substantial behaviors causing the testing to be delayed, but because four days is the normal amount of time the Diagnostic Center takes to assess most children. Dr. Smith and Mr. Elderkin both mentioned during their testimony that in their experience with the Diagnostic Center, its assessment generally takes around four days. 50. The Diagnostic Center’s assessment was comprehensive. The assessment included a thorough review of Student’s past assessments, interviews, observations of Student during testing at the Diagnostic Center and in his classroom, and the administration of standardized and non-standardized assessment tools. 51. In order to gain an understanding of how Student thinks and reasons, the Diagnostic Center administered the Southern California Ordinal Scales of Cognitive Development (Ordinal Scales), a criterion-based non-standardized test developed by the Diagnostic Center. The Ordinal Scales provides a descriptive, developmental portrait of the individual child based on Piaget’s developmental levels. The assessment is individualized to each person assessed and can be used with any individual from a month old to adulthood. This assessment is therefore particularly useful in assessing low-functioning individuals as well as people with a broad range of cognitive abilities. The Ordinal Scales gains information through play and practical scenarios. The Diagnostic Center considers the assessment to be one of the most culture-free and nonsexist instrument available. It permits the assessor to probe how a child sees the world around him or her, how the child thinks and learns. Although it is not a common test used by school psychologists, Dr. Gutentag testified that he does not know why it is so uncommon because the test paints such a complete picture of a child and complements other testing instruments so well. He stated that the Ordinal Scales have never been found unreliable. 52. Student’s results on the Ordinal Scales indicated that Student’s thinking and reasoning abilities were age appropriate for a boy of almost eight years old. His concept of numbers and ordering were solid. He understood that the appearance of changes in quantity does not mean that the actual quantity changes. Dr. Gutantag explained that Student was able to understand, for example, that one 10 dollar bill was more than five, one dollar bills. Student therefore was not fooled by perceptions. This comported with Student’s ability to reason through cause-and-effect relationships with intuition and beginning logical thought. Student had more difficulty processing through such information verbally. Props helped him to explain his reasoning. 53. Dr. Gutentag also administered the NEPSY-II to Student. 13 The NEPSY is a standardized neuropsychological test of different cognitive functions. It tests areas such as memory, cognitive switching, social perception, attention and planning. Not every psychologist is qualified to administer this test. Dr. Gutentag is qualified per the test publisher’s criteria. 54. Student’s results on the NEPSY indicated he had difficulty with both immediate and delayed auditory and visual memory. When presented with lists of words, Student immediately said he forgot them and needed encouragement and prompting to even make guesses. With prompts, Student could recall some words, but his performance was low. The same was true when shown pictures of children. However, Student performed well on structured attention tasks and was able to correct errors. However, he became bored with the attention task and, at one point, fell out of his chair. Student also had some difficulty shifting thoughts and tended to ponder thoughts that were particularly distressing to him. This difficulty in shifting is an executive function deficit. Dr. Gutentag explained that this deficit is characteristic of people with ADHD. 55. Generally, Student needed frequent prompting and redirection to tasks during the administration of the NEPSY, particularly on tasks Student found less-preferred on which he found more difficult. Also characteristic of ADHD was Student’s difficulties with selective and sustained attention with applied tasks, with time controls, and with delaying gratification. Providing external supports compensate for internal weaknesses helped Student on the test. Dr. Gutentag found that, depending on the situation, Student’s cognitive functioning could be adversely affected by environmental stress factors such as parental conflict. Overall, however, Student’s scores on the NEPSY were in the average range for perception but that memory was a deficit. 56. Student’s current social-emotional functions were assessed using observations and the Roberts Apperception Test (Roberts). The Roberts uses a child’s expressive language as an index of his social cognitive skills. The child is shown image cards that provide a set of structured situations that direct the child to deal with common social situations. The child tells a story about the images, which is seen to reflect relatively stronger or weaker abilities to recognize, assimilate, and organize the situations into competent social problem-solving situations. The areas addressed by the Roberts are anxiety, aggression, depression, rejection, and “unresolved”, the latter of which addresses whether the child leaves the social situation unresolved. T-scores between 50 and 60 mean a child is at risk in those behaviors. Scores above 60 are clinically significant. Student did not score at risk in any area. However, he scored clinically significant in the unresolved category. Dr. Gutentag believed that this reflected Student’s overall difficulty with successful problem solving. Student also used avoidance as an escape mechanism whenever situations or questions were posed to him that caused discomfort or difficulty. Dr. Gutentag also believed that Student under-reported feelings of anxiety and aggression for his age range, which might further substantiate a tendency to use avoidance as a means of escape from difficult, ambiguous, or uncomfortable situations. 57. The Center assessors also observed Student at the Center during testing and in Student’s classroom as part of the assessment process, and, in particular, as part of the process to determine Student’s social-emotional functions. At the Center, Student exhibited impulsive behavior, self-deprecating remarks, and perfectionistic tendencies during nonpreferred tasks that were either difficult for him or that Student perceived as difficult. He sometimes hit himself when presented with difficult material and once, while doing a writing task, stated “I’d rather kill myself. I’d rather shoot myself with a hand gun than do this.” At one point during the four day testing period, Student had sprained his arm doing an activity away from the Center, and had to wear a sling. He showed agitation at the Center because he had to wear an old sling rather than his new one. Student also demonstrated perfectionist tendencies, saying that he wanted to get 100 percent correct so that Father would be proud of him. Student also periodically would turn red, would shake all over and his eyes would water when he did not know an answer. To re-focus Student, the Center assessors allowed Student to play, which he did energetically. He responded well to a work-then-play format. Student also suggested using what is known as a “closure” system, which is a checklist. When an item on the list is finished, you go to the next item. Dr. Gutentag explained that this indicated that Student demonstrated higher level thinking by suggesting this system. It was a simple, easy, and effective means of getting him to focus on tasks. 58. Student presented a completely different picture when the Center observed him in his classroom. He did not exhibit any of the agitation, impulsivity, or self-deprecation he demonstrated at the Center. The Center observed him during a writing activity, during a computer test, and at recess. Student was calm, cooperative, and appropriately engaged in all activities at school. He transitioned well from activity to activity. Although Student had an aide, he did not refer to her at all during the observation and had not need of her at all. Student interacted and engaged well with others, played well, and waited his turn. Student responded well to the general education environment. His behavior was consistent with what his teachers had reported from the end of the last school year through the time of the Center assessment. Although the teachers had expressed some concern over Student’s activity level and impulsivity, none of the concerns stood out as significant. Student did not stand out at all from the other children in his class. To Dr. Gutentag, it was clear that all of Student’s issues could be safely addressed in the general education environment. 59. The Center also did further evaluation of Student to address possible autism. The Center had not observed any behaviors that indicated that Student had an ASD, but did the testing based on Student’s prior diagnosis of pervasive developmental disorder not otherwise specified. The Center conducted interviews of Student’s parents using the Social Communication Questionnaire. It observed Student during its assessment and at school. It also administered the Autism Diagnostic Observation Schedule (ADOS), which addresses a child’s communication, reciprocal social interaction, imagination and creativity, and stereotyped behaviors and restricted interests. To be considered to be autistic or on the autism spectrum, a child needs to score 12 or higher on the ADOS. Student scored a total of 2, well below the cut-off for autism. The results of the ADOS, parent interviews, and Center observations indicated that Student did not meet eligibility for autism or autism spectrum disorder. 60. To assess Student’s academic levels, the Center administered a variety of tests to Student. The Oral and Written Language Scales assessment measures listening comprehension and oral expression. Standard scores between 90 and 110 are average. Student’s composite score was 107, in the high average range. On the Montgomery Assessment of Vocabulary Acquisition standard scores of 90 to 110 also signify average competency. Student’s standard score of 104 in receptive vocabulary was well within the average range. 61. The Center also administered the Kaufman Test of Educational Achievement, Second Edition, Form B (KTEA-II) to Student. The KTEA-II measures academic achievement and is similar to the Woodcock-Johnson. Standard scores between 90 and 110 are in the average range for this test as well. 62. Math is a strong point for Student and his results on the KTEA-II demonstrated again that he has strengths in math concepts and activities. Student’s composite score in math was 96, well within the average range. 63. In the area of reading, Student was just within the average range, although his pure reading ability was just slightly below grade level. Spelling was the most challenging area for Student, based in part on his resistance to writing tasks. Student made common phonological spelling errors, such as writing “fone” for the word “phone.” However, this did demonstrate that Student is able to apply phonological rules to word sounds. 64. Student’s oral language scores were in the high end of the average range, demonstrating that oral communication is a strength for him. Student had more difficulty with listening comprehension. He appeared to grow restless during this section of the test and became preoccupied with the break time activity that would follow completion of that portion of the test. However, in spite of this, Student scored a 95 in listening comprehension. Student’s oral language composite score was 101; again well within the average range. 65. The Center was not able to do the written expression portion of the KTEA due to Student’s arm injury. However, the Center did not re-schedule Student to do that portion of the assessment because it was not necessary. The Center had used other assessment tools in addition to the KTEA-II that evaluated Student’s writing and fine motor skills. An occupational therapist from the Center evaluated Student using the Developmental Hand Skill Observations of the “K & 1” Child. This consists of structured observation of 10 categories of hand skills thought to be necessary for successful participation in school related to fine motor activities. The test included having Student write sentences. Student had difficulty with some aspects of writing as he was only able to demonstrate 15 of the 23 skills thought to be necessary for school-related fine motor activities such as writing. Student’s writing was large and outside the lines of the paper when he did not have the aid of a model. He also reversed some letters such as b, d, and p. However, when copying from a model, Student’s writing improved significantly. 66. The Center also addressed Student’s motor and sensory needs. Although Student demonstrated deficits in wrist and finger positions that affected his writing, none of the Center assessors believed that these deficits could not be addressed in a general education setting with consultation between an occupational therapist and Student’s teacher. 67. The Center assessment observed that Student tended to seek three types of sensory stimulation: vestibular (whole body movement through space); proprioceptive (deep pressure); and tactile (touch). Student especially would tend to fidget while sitting and benefitted from frequent movement breaks. However, none of these issues interfered with Student’s overall ability to participate in class. Student’s parents provided responses to the Center through an inventory of sensory behaviors. Father and Mother agreed that Student’s sensory seeking had improved over the past several years. While Mother reported that Student had many sensory-seeking behaviors at home, Father reported very few. The Center noted that at school very few sensory related behaviors had been notices and those that were noted were not problematic. 68. As will be discussed more fully below, the Center’s recommendations, based upon its four day assessment of Student, its observations of him, and its review of his records, including IEP’s and previous assessments, was that Student was not presently eligible for special education. Rather, the Center, as emphasized by Dr. Gutentag during his testimony, believes that Student’s deficits in attention, memory, and writing can easily be met in the general education environment with supports such as the ones it recommends in its report. 69. The Center’s philosophy is that it does not represent either school districts or parents. Rather, it believes it represents the child it is assessing. For that reason, the Center will not attend IEP meetings either as a participant or an observer. Rather, once an assessment is completed, the Center invites the child’s parents and some members of the child’s IEP team to a meeting at the Center’s offices to review its findings and recommendations. It then leaves it to the school district to present the Center’s assessment at a full IEP team meeting. After completing its assessment of Student, the Center held such a meeting with Mother, Father, and some of the members of Student’s IEP team. 70. The District then convened Student’s annual IEP meeting on December 12, 2011, to review Student’s present levels of performance, and to discuss the Center’s recommendation to exit Student from special education. The meeting was attended by Father, Mother, and Grandmother; Mr. Elderkin; Cathy Burns, Student’s second grade teacher; Christine Gomes, Student’s special education teacher for SAI; and Heather Dominguez, the Principal of Student’s elementary school. 71. Ms. Burns and Ms. Gomes both addressed Student’s academics. They noted that Student was working out of the general education reading curriculum. Student’s reading was steadily improving. He had scored only a 34 on a reading test called the DIBELS at the beginning of the school year, which showed that Student’s reading was in the “at risk” range. By the time of the IEP meeting, Student’s score had risen to a 50, a gain of 16 points, which was only a point or so below proficient. It was a significant gain. Student’s running reading assessment score at advanced from an 18 at the beginning of the school year to a 22. The expectation was that Student would be at a level 26 by the end of the school year. Student was persistent in his decoding skills, enjoyed literature, and enjoyed listening to stories. He was at grade level overall in his reading. Student’s math ability was above average. In written expression, Student was able to complete sentences and to write a short paragraph and stay on topic. Student’s handwriting size and spacing had improved but they were still poor. Ms. Burns was addressing those issues in class. Ms. Gomes related that Student had met all of his goals from his last IEP. 72. Mother expressed concern about Student’s reversal of letters and numbers. Ms. Burns explained that those types of reversals were common among many of her students. She explained to the team the strategies she used in class to address writing issues. Mother expressed the same concern at hearing. One of her hearing exhibits consists of two pages of copies of Valentine’s Day cards Student received from his classmates the past year. Mother believed that comparing the writing on the cards to samples of Student’s writing demonstrated how much worse his writing was than that of his classmates. However, it is a difficult comparison to make for several reasons. For example, Mother could not say if all the cards were completed solely by the students themselves or if they had help. Importantly, a brief review of the cards shows that some of them demonstrate poor writing skills, and on at least one of the cards the “J” in Student’s name is reversed, in much the same way Student reverses his letters. At hearing, Ms. Burns explained that it is common for children to continue reversing letters and numbers sometimes until fifth grade. She also related that Student’s fine motor skills were improving and he was doing better at writing in his journal. Neither Ms. Gomes nor Ms. Burns believed Student needed any intervention in order to access his curriculum. 73. The IEP team also reviewed Student’s need for a one-on-one aide. Ms. Burns related that Student appeared more comfortable and engaged in class. He was working well with class routines and consequences. Student was using the aide less and, in fact, did not appear to need the aide. Father concurred that Student was bright and could navigate the classroom without the assistance of an aide. 74. The District fully reviewed the Diagnostic Center’s report and its recommendation that Student be exited from special education. Mother expressed numerous concerns about leaving Student without the support of an aide and the services available through special education. She declined to consent to exiting Student. Father, however, concurred in the Center’s recommendation. The District IEP team members also concurred, with Ms. Burns, Ms. Gomes, and Mr. Elderkin expressing their belief that Student could successfully progress in general education with non-special education supports. The District’s offer of a free appropriate public education therefore was to exit Student from special education. 75. Pursuant to the family court order, Father could not sign his consent to the exit IEP because Mother did not agree and therefore would not sign it. However, because Father agreed in principle with the recommendation to exit Student, the District decided to implement the IEP even without Mother’s consent. Therefore, shortly after the IEP meeting took place, the District ceased providing any special education services to Student. It ceased pulling Student out of general education class 30 minutes a week to attend SAI support class, removed his one-on-one aide and ceased providing OT consultation to Student’s teacher. 76. Mother filed a compliance complaint against the District with the California Department of Education (CDE) soon after the December 12, 2011 IEP meeting. Mother raised four issues in her complaint: a) failure to draw upon a variety of sources for determining Student’s eligibility [for special education] and educational need; b) failure to schedule the [December 12, 2011] IEP meeting at a mutually agreeable time and place; c) failure to follow procedures when parent requests an amendment to their child’s records; and d) failure to implement Student’s October 20 and December 13, 2010 IEP’s [due to cessation of services and placement based upon exiting Student from special education] with regard to Student’s one-on-one aide, the provision of speech and language services, the failure to develop new goals for Student, and the implementation of Student’s BSP. 77. CDE conducted an investigation of Mother’s allegations. In a report mailed to the District on March 9, 2012, it found the District in compliance on the first three issues raised in Mother’s complaint and thus ordered no corrective action. However, CDE found the District out of compliance based on the District’s failure to implement Student’s IEP’s. In effect, CDE found that the cessation of services and programming for Student due to exiting Student from special education without Mother’s consent was improper. 78. CDE directed the District to take corrective action to remedy the compliance violations. It ordered the District to re-instate the services provided in Student’s IEP’s, and to provide Student with compensatory education and services for the loss of speech and language therapy and the loss of his one-on-one aide. In a letter to Mother and Father dated April 12, 2012, the District complied with CDE’s directive by laying out a plan to compensate Student for the loss of speech and language therapy, his one-on-one aide, and the 30 minutes a week of SAI. 79. Between the time of the December 12, 2011 IEP meeting and the time the District reinstated Student’s IEP’s, Student lost approximately nine class weeks of programming and services. Ms. Burns and Ms. Gomes both testified that Student did not regress academically or in his behaviors during this time. Rather, Student continued to demonstrate academic progress and to demonstrate that his behavior could be re-directed by the general education teacher without the support of a one-on-one aide. 80. Mr. Elderkin determined that the District should hold another IEP meeting because of Mother’s complaint to CDE that she had wanted another meeting and the District had declined to hold one. The District also wanted to discuss again its belief that Student should be exited from special education. The District, through Mr. Elderkin, therefore sent IEP conference notices to parents indicating the District’s intent to hold an IEP meeting on March 23, 2012. Mr. Elderkin sent the notice to Mother by email on March 7, 2012. His email stated: “Attached please find conference notice for requested IEP.” The conference notice indicated that the reason for the meeting was: change of placement; exit special education services; parent request; review/revise IEP services; shows readiness for general education program. The conference notice indicated that in addition to parents and District staff, the District wanted to have the Diagnostic Center present and that it intended to have its attorney present. The notice is a form which has boxes for parents to check indicating if they would attend the meeting. If not, parents could indicate that they wanted to re-schedule on a different date, if they wanted the District to hold the meeting without them, or if the parents planned to send a representative to take their place. The District sent its March 7, 2012 IEP conference notice to Mother prior to CDE mailing its compliance investigation report to the District. Father, who wanted an IEP meeting to again discuss exiting Student from special education, told Mr. Elderkin he was available for the meeting. 81. Mother replied to Mr. Elderkin in an email dated March 8, 2012. She stated that she was not available to attend an IEP meeting on March 23, 2012. She also stated that she wanted to consult with Student’s advocate and with her own attorney to find alternate dates convenient to everyone. She further indicated that she would inform Mr. Elderkin as soon as possible. Mother did not state why she was not available on March 23. 82. Mr. Elderkin sent an email to Mother on March 9, 2012 in response to her email stating her unavailability on March 23 for an IEP meeting. He asked her to inform him as soon as possible when she could meet. 83. On March 16, 2012, Mother responded to Mr. Elderkin’s email of March 9. She said that she saw on the IEP meeting notice that the meeting was scheduled at parent request. She stated that there must have been some miscommunication because she had not requested an IEP. Mother therefore stated that it appeared that they did not need a meeting after all. Although Mother did not acknowledge it, as indicated above “parent request” was only one of the five areas the District had indicated as reasons for the IEP meeting. 84. On March 26, 2012, the District sent Mother a second notice of IEP conference, scheduling the IEP meeting for April 13, 2012. At hearing, Mr. Elderkin explained that Mother contacted him and told him that she would not be at the meeting on April 13. Mother also communicated to Mr. Elderkin that she did not want the District to have its attorney present because then she would feel compelled to bring an attorney as well and that was too expensive for her. Mr. Elderkin explained that the District had a right to have its attorney present and that they were going to exercise that right. 85. After Mother stated that she would not be at the IEP meeting scheduled for April 13, 2012, Mr. Elderkin sent yet another meeting notice to Mother by email on April 11, 2012, this time for a meeting to be held on April 23, 2012. Mr. Elderkin reminded Mother that her CDE compliance complaint asked for an IEP meeting to be scheduled so that her advocate could attend the meeting. He also explained that an IEP meeting was necessary in order to discuss Student’s BSP and other concerns Mother had expressed to Student’s teacher and to the school principal. This meeting notice identified the same purposes for the meeting and the same invited participants (except for the Center) as had the prior two notices. 86. Mother emailed Mr. Elderkin the same day. She explained that since CDE had instructed the District to reverse exiting Student from special education, she did not feel that there was any need for an IEP meeting. Since she had not requested the meeting, Mother asked Mr. Elderkin to cancel it. 87. Mr. Elderkin sent an email to Mother the following day, on April 12, 2012, reiterating the reasons why the District wanted to meet. 89. On April 19, 2012, Mother again emailed Mr. Elderkin. In this email, Mother stated that she now understood that the District wanted to call an IEP meeting itself. She then, for the first time, informed Mr. Elderkin that scheduling an IEP meeting was difficult for her at that time because her father had found out a few months before that he was terminally ill. Mother stated that she was busy taking over her father’s business to ensure its continuation. Mother further stated that she did not feel comfortable having a District attorney at the meeting because she would might have to bring one herself, something which was a financial burden to her and which made scheduling all the more difficult. Mother also stated that she had requested a behavioral health assessment for Student and felt that it would be more sensible to hold an IEP meeting after the assessment was completed. Mother then contradicted herself somewhat and stated that “If we do NOT need attorneys, I would be available on the following dates” (emphasis in original). The first date Mother gave was for April 30, 2012, a week after the District’s scheduled April 23 meeting. Mother did not explain why she was not available on April 23, but would be available on April 30. Nor did she explain why she did not previously mention her father’s illness, particularly since it had apparently been known to the family for several months. 90. Mr. Elderkin did not respond to Mother’s email. By this time, he justifiably believed that Mother did not want to have an IEP meeting so that she could avoid a discussion regarding Student’s eligibility for special education. Additionally, while Mother had finally proposed alternative meeting dates, she did so only under the condition that the District did not bring its attorney to the meeting, although the District had every right to do so. Since the District had made three attempts to accommodate Mother, because Mother was placing conditions on the meeting to which the District would not agree, and because Father was urging that the meeting be held, the District decided to convene the meeting even if Mother did not attend. Given the numerous attempts the District made to accommodate Mother’s schedule and concerns about the meeting, and the improper conditions Mother was placing to ensure her attendance at a meeting, the District was warranted in doing so. 91. The District convened the April 23, 2012 IEP meeting as indicated in its last notice to Mother. The District IEP team members who attended the meeting were Dr. Gary Smith, the school psychologist who had assessed Student in 2010; Heather Dominguez, the Principal of Student’s school; Ms. Gomes, Student’s special education teacher; Jo-Ann Vargas, the District occupational therapist who had assessed Student in 2010; a speech language pathologist who had also assessed Student for his triennial in 2010; an adaptive physical education teacher, a school nurse, and Mary Anne Klenske, who is a behavioral specialist with the SELPA. Also present for the District was Laura Chism, a SELPA program manager, and the District’s attorney, Ms. Billups. Father and Grandmother attended as well. Mother did not attend. 92. Cathy Burns, who was Student’s general education teacher for second grade at the time of the meeting, had intended to attend this IEP meeting. However, she became ill just prior to the meeting so another general education named Laura Blankenship was present in her place. Ms. Blankenship is another District second grade teacher who had had contact with Student during the school year on Fridays, when she and Ms. Burns combined their classes. She had also had contact with Student during field trips and assemblies. Ms. Burns had prepared a report of Student’s academic and behavioral progress from his last IEP meeting in December 2012 to the week prior to the April 23 IEP meeting to present to the IEP team. At hearing, Ms. Burns testified that she was able to review her report with Ms. Blankenship prior to the April 23 IEP. Ms. Blankenship presented the report to the IEP team on April 23. Ms. Burns was out of work for a month during the time she was ill. When she returned to school following her illness, she confirmed with Ms. Blankenship that Ms. Blankenship had been able to answer all questions posed to her about Student at the April 23 IEP. 93. The report Ms. Burns prepared reviewed Student’s progress in reading, writing, spelling, math, task completion, and classroom conduct. With regard to reading, Student was at grade level. His reading record level had increased from a 24 to a 26. His independent reading level was 24, just under grade level. Ms. Burns reported that Student had good reading comprehension, that he enjoyed literature and worked hard. She felt that his fluency in reading would improve with time and practice. 94. Ms. Burns indicated that writing was a weak area for Student. At the time of the April 23 IEP meeting, he was slightly below grade level. Student had basic skills with regard to sentence structure and mechanics. Ms. Burns recognized that Student needed to learn to write slower and attend to what he was doing so that his writing content and his printing would improve. Although Student’s printing had improved and he was making fewer letter reversals, Ms. Burns recognized that it was still an area of concern. She reported that she had moved Student to the front of the class so that he had information from the board directly in front of him. Spelling continued to be a challenge for Student. He was below grade level. Ms. Burns opined that as Student’s spelling improved his writing fluency would also improve. 95. Math is Student’s area of academic strength. At the time of the April 23 IEP meeting, he was performing above grade level. Ms. Burns also reported that Student was performing at grade level in the areas of science and social science. 96. Ms. Burns also addressed Student’s classroom behavior in her report. Student had completed 100 percent of his graded classroom assignments. Although he needed redirection and encouragement in class, Ms. Burns noted that Student no longer required a one-on-one aide. The behaviors that his prior school district had noted in June 2010 were either totally absent or so infrequent that they did not interfere with Student’s academic performance. He responded best to a regular classroom management system and did not require a BSP. Ms. Burns further reported that during the period from December 12, 2011, to March 9, 2012, when Student’s aide had been removed, Student made a smooth transition. He was more relaxed in class, interacted better with his peers, and worked independently. Importantly, Ms. Burns believed that Student’s self-perception that he needed help or that his frustration was problematic was no longer being reinforced during the time the aide was not assigned to Student. 97. Ms. Burns recommended to the IEP team that Student’s academic and behavior needs could be met in the regular education classroom. She reported her belief that Student no longer required special education services. Rather, Ms. Burns believed that regular education interventions, such as a 504 plan or other regular education interventions were more appropriate for Student. Ms. Gomes, Student’s special education teacher, agreed with Ms. Burns’s recommendations regarding Student. Her 30 minute per month intervention was not necessary in order for Student to access the regular education curriculum. 98. Dr. Smith was present at the IEP meeting in order to review the results of the Diagnostic Center’s multidisciplinary assessment since the Center declined to attend the meeting, as is its practice. After reviewing the report again with the team, Dr. Smith asked the meeting participants whether they had any information regarding Student’s progress that contradicted the Center’s assessment results and/or recommendations. None of the team members, including Ms. Gomes and Student’s father, believed that Student had regressed since the Center’s assessment. 99. Ms. Vargas also reviewed her 2010 assessment and the Center’s OT assessment of Student. She erroneously believed that the Center’s OT assessment had not been completed by an occupational therapist. Her assessment had been more complete than that of the Center. However, both she and the Center had found that Student did not require direct OT interventions to address his deficits. Both had found that accommodations in the classroom would address Student’s writing deficits. Neither Ms. Burns in her report to the IEP team, or Ms. Gomes at the April 23, 2012 meeting, indicated that Student’s OT needs had regressed to a point where direct services were needed in order for him to access the curriculum or any other portion of Student’s school day. 100. SELPA behavioral specialist Mary Anne Klenske had also prepared a detailed report summarizing behavioral data on Student from October 2011 to just prior to the April 23, 2012 IEP meeting. She noted that the BSP developed for Student by his prior school district had been targeted on correcting the following behaviors: ignoring direction; falling out of his seat; laying across the carpet or the class furniture; blurting out; making silly faces or noises while making eye contact with peers; leaving the work area and wandering around or starting to play. The BSP had recommended several interventions to address Student’s inappropriate behaviors. 101. Ms. Klenske had been tasked with consulting with Student’s teachers and aide to determine his present behavior needs and update, if necessary, behavior interventions and a BSP for Student. Ms. Klenske developed data collection forms that she provided to staff to document Student’s behavior patterns. Based upon that data, she was able to determine that Student was not frequently exhibiting any of the behaviors targeted in his BSP. None of his present behaviors were consistently impeding his learning of the learning of others. Ms. Klenske developed three different data forms that were used during the six months of data collection on Student’s behaviors. Two of the forms were used in the period from early March to late April 2012, for a total of six weeks. During that time, Student had only one incident of falling out of his chair, two incidences of ignoring directions, and one incidence of lying across his chair. 102. Ms. Klenske also observed Student at school on three occasions in March and April 2012. During her observations, Student exhibited none of the behaviors targeted in his BSP. School staff, including Ms. Burns, informed Ms. Klenske that Student was not exhibiting any excessive behaviors that were of concern. Ms. Burns provided class-wide positive behavior reinforcements as well as verbal prompting to redirect Student. Her interventions were used with the entire class. 103. It was clear to Ms. Klenske that Student presented no behavior problems that impeded his learning or the learning of his classmates. She recommended that the positive reinforcements already used by Ms. Burns be continued. Ms. Klenske therefore believed that Student did not require a BSP. 104. Based upon the Diagnostic Center’s assessment and recommendations and the input from District team members present at the meeting that Student did not require special education supports or interventions to access the general education curriculum and to progress in his education, the District again recommended that Student be exited from special education. Student’s Father agreed with the conclusions and recommendations of the District IEP team members. Student’s April 23, 2012 IEP therefore recommended that Student be exited from special education. 105. Mother’s primary contention is that Student’s triennial assessment and assessment administered by the Center indicate Student has a specific learning disability. Mother presented two expert witnesses in support of her position. 106. Dr. Jose Fuentes is a highly qualified clinical neuropsychologist. His education, training, and experience are very similar to that of Dr. Gutentag. Dr. Fuentes has a B.S. in behavioral science, an M.A. in experimental psychology from Loma Linda University, and a Ph.D. in clinical psychology from Loma Linda University as well. He has served on various professional boards and committees, has extensive clinical and research experience, has published a few articles, and given many presentations on issues in his expertise. Dr. Fuentes has also taught several university classes, predominantly at the graduate level. Dr. Fuentes has been in private practice as a clinical neuropsychologist for 10 years. He has assessed hundreds of children, including doing independent assessments through contracts with various school districts. Dr. Fuentes’s experience prior to obtaining his doctorate degree included managing programs providing services to people with special needs. Since 1995, he has been Executive Director of an intervention program providing services to families who have children with developmental disabilities. His testimony at hearing was direct, forthright, and thoughtful. For example, Dr. Fuentes was willing to disagree with Mother when shown a very short video of Student lying on the floor at home and refusing to go to school. This incident occurred during the time Student’s aide was removed. Dr. Fuentes disagreed with Mother’s position that Student’s reticence in going to school was clear proof that Student was regressing in school and still needed an aide. Dr. Fuentes stated that Student looked like any child his age who just did not feel like going to school that day. 107. Dr. Fuentes testified that Student’s scores on his 2010 triennial psychoeducational assessment indicated that Student had an SLD. He based his opinion on the discrepancy between Student’s scores on the WISC-IV and the WJ-III. He also believed that Student’s low working memory and processing speed scores indicated the presence of an SLD. Additionally, Dr. Fuentes believed that comparing Student’s scores on the KTEA-II administered by the Diagnostic Center to Student’s scores on the WISC-IV administered by Dr. Smith the year before the Center’s assessment was even more conclusive evidence of the presence of an SLD. 108. Dr. Fuentes was critical of the Center’s assessment because it took four days to complete. He stated that, in his experience, assessments of children take much less time. Therefore, he opined that the Center must have had significant difficulty in assessing Student because of the length of time it took to complete its assessment of him. Dr. Fuentes opined that the fact the assessment took four days contradicted the Center’s findings that Student’s ADHD was not affecting Student’s ability to perform in the classroom. 109. Dr. Fuentes also criticized the Center’s assessment because it did not include a standardized cognitive assessment tool like the WISC-IV. He did not believe that the Southern California Ordinal Scales, the criterion-based assessment tool used by the Center, was an appropriate or adequate measure of cognition and was not appropriate for determining whether Student had an SLD. 110. In spite of Dr. Fuentes’s uncontested expertise as a neuropsychologist with many years of experience with disabled children, his opinions were ultimately not as persuasive as those of Dr. Smith and Dr. Gutentag. First, as discussed below in the Legal Conclusions, either comparing Student’s WISC-IV and WJ-II scores, or comparing his WISC-IV scores with the Center’s KTEA-II scores, do not result in the 22-point discrepancy necessary to find an SLD using the severe discrepancy model. Additionally, Dr. Fuentes did not assess Student. He did not observe Student at school and did not interview any of Student’s teachers. The only records of Student’s that Dr. Fuentes reviewed were the assessment reports he critiqued as those were the only records Mother had provided to him for review. His criticisms of the Center’s assessment process were also not based on his experience. Dr. Fuentes acknowledged his lack of experience in working with the Center. His belief that the four days that it took the Center to assess Student were uncommon was disproved by Dr. Gutentag since four days is the normal amount of time the Center gives to assessing most students. Mr. Elderkin and Dr. Smith testified to the same even before Dr. Gutentag’s testimony. 111. Dr. Fuentes’s opinion that the Center did not thoroughly consider the possibility that Student has and SLD was persuasively rebutted by Dr. Gutentag. Dr. Gutentag explained that he first reviewed the District’s 2010 triennial assessment, and determined that there was no strong evidence to support a finding that Student had an SLD. SLD was therefore not a suspected area of disability for Student. Additionally, Dr. Gutentag persuasively explained that the Center’s own testing failed to indicate that Student might have an SLD. There was therefore no reason to administer any further cognitive tests to him. Additionally, Dr. Gutentag pointed out that it would not be appropriate to compare the scores on the District’s triennial, administered some 10 months before the Center’s assessment, with scores obtained on the Center’s testing. 112. Dr. Fuentes’s opinion that Student had an SLD was further weakened by his testimony that it is usually not determined whether a child has an SLD until he or she is in the third or fourth grade. Student was assessed first by the District when he was in first grade. The Center assessed him at the beginning of his second grade year. 113. Finally, Dr. Fuentes did not address in any meaningful way what type of processing disorder Student has that would make him eligible for special education under the category of SLD. Nor did Dr. Fuentes significantly address why he thought Student was unable to access the regular education curriculum without special education interventions. For these reasons, the testimony of Dr. Fuentes was less persuasive than that of the District’s witnesses, Dr. Smith and Dr. Gutentag. 14 At hearing and in its closing brief the District objected to Ms. Longley’s designation as an expert witness. The District’s objections are unjustified. Ms. Longley’s master’s degree in clinical psychology as well as her many years as a school psychologist adequately qualify her to give expert opinion regarding psycho-educational assessments and programming for special needs students. 114. Student also presented the testimony of his advocate, Brenda Longley. Ms. Longley has a B.A. in psychology and special education and a M.S. in clinical psychology. She obtained both a pupil personnel credential in school psychology that permitted her to work as a school psychologist. She also has an administrative credential. Ms. Longley was employed as a school psychologist from 1998 to 2007. Since 2007, she has acted as an advocate for many special needs children. 14 However, despite her considerable experience as a school psychologist, Ms. Longley’s opinions were ultimately less persuasive than those of Dr. Smith and Dr. Gutentag regarding the possibility that Student has an SLD. 115. Ms. Longley believes that the District should have considered more closely Dr. Smith’s suggestion in Student’s 2010 psycho-educational assessment that Student had an SLD. However, the discrepancy between Student’s ability and achievement, even if using only his verbal comprehension score of 108, was, at maximum, 20 points higher than his lowest score on the WJ-III, which was an 88 in academic fluency. The 20 point discrepancy does not rise to the level indicative of an SLD. Moreover, neither Ms. Longley nor Student in his briefing offered any support for the theory that an SLD should be determined solely by measuring a child’s highest score on one subtest of an IQ test against his lowest score on one subtest of an achievement test. 116. Ms. Longley testified also that the District’s 2010 triennial demonstrated that Student has an SLD when using his general ability index scores. She particularly points to the fact that Student’s score of 108 on the verbal comprehension subtest of the WISC-IV is significantly higher than his score of 80 on the working memory subtest and his score of 75 on the processing speed subtest. Ms. Longley believes that rather than just looking at a possible discrepancy between ability and achievement using Student’s Full Scale IQ, it is more appropriate to look at Student’s GAI. 15 See, e.g. the discussion on GAI in High Tech Middle Media Arts School v. Student (2007) Cal.Offc.Admin.Hrngs. Case No. N20060904613, et al. 118. Ms. Longley’s persuasiveness was also weakened by her misreading of the criteria for using the ordinal scales to assess disabled children. Ms. Longley believed that the ordinal scales should only be used to assess low functioning individuals. She recalled that information from training she had received in administering that assessment. Student offered as an exhibit a printout from the Diagnostic Center’s website to support Ms. Longley’s position. That document, Student’s Exhibit 20, which is a description of a class entitled “Overview of the Administration and Interpretation of the Southern California Ordinal Scales of Development” given by the Diagnostic Center’s Director, does not state that. Rather, the document merely states that “The scales are particularly useful as they allow assessments of very low functioning and difficult to assess students of all ages.” The document does not state that the ordinal scales should only be used with those types of students. 119. Ms. Longley’s belief regarding the use of the ordinal scales was further dispelled by Dr. Gutentag. He explained that the assessment was useful for assessing students with all levels of cognitive functioning because the assessment was individualized for each person. That is why it could be used to assess infants as well as adults. Ms. Longley’s opinion that the ordinal scales should not have been used to assess Student is therefore unpersuasive. 120. Finally, Ms. Longley’s opinion that Student had an SLD was further weakened by her failure to state what processing deficit Student had, her failure to address how the SLD was hampering Student’s access to his education, and her failure to discuss what, if anything, the District needed to provide to Student in terms of supports or programming that were needed to address the SLD. 121. Student’s eligibility for special education since enrolling in the District has been under the category of OHI, based upon his diagnosis of ADHD and his history of attention and behavioral issues in class. The areas of deficit exhibited by Student in the past based upon his ADHD were his inappropriate behavior in class, lack of focus and attention, and difficulties with writing and spelling. 122. Student’s second grade teacher, Ms. Burns, testified at hearing. She has a master’s degree in education and has been a regular education teacher at Rim of the World for nine years. Before becoming a teacher, she had worked in private industry. Ms. Burns gave emphatic, thoughtful, and direct testimony. She answered questions directly and did not evade answers. It was readily apparent from her demeanor at hearing that she is passionate about her work and the children she teaches. 123. From the time Student entered Ms. Burns’s class for second grade at the beginning of the 2011-2012 school year, he appeared to her to be just like any child transitioning from first to second grade. The only thing extraordinary about him was that he was assigned a full-time aide. Although Student had a few behavior issues at the beginning of the year, as the school year progressed, Ms. Burns saw a child who was becoming more comfortable in his surroundings, more engaged, and less unfocused. It became apparent to her that Student did not need the aide. Ms. Burns was able to give him appropriate prompts herself, was able to redirect him and was able to refocus him, just as she had to do with the majority of her students. 124. Ms. Burns has visual schedules in her classroom. She also has visual reminders of assignments. She trains all of her students to look at the schedules so that they know what to expect each school day. Ms. Burns put a class schedule on the board in the back of the class and an assignment schedule on the front board, because it was difficult to teach most second graders how to manage their time and the boards helped them learn to do so. The tasks for the day are listed and remain on the board for the entire day. Ms. Burns also tried using a closure system in class with Student. It is a visual reminder that tells how close you are to completing a task. However, having that type of notes was a distraction for him so she reverted to the white board system of lists that she uses with all her students. 125. During her testimony, Ms. Burns reviewed the recommendations made by the Diagnostic Center. She indicated that she already used many of them, such as her use of visual schedules, positive reinforcement, self-calming strategies, having Student repeat instructions and directions, and breaking down tasks for Student. Many of these suggestions were classroom management techniques that Ms. Burns implemented in the classroom in the normal course of teaching. Other recommendations, such as the use of a closure system and taking Student outside the class to do work, were techniques that she had tried with Student but abandoned when Student did not respond positively to the technique of accommodation. Evident throughout Ms. Burns’s testimony was her dedication to her students and their success, as well as her deep-founded belief that Student did not require special education supports to be successful in school. 126. Ms. Burns was very strident in her opinion that Student did not need an aide. It was clear to her that Student could work in a general education environment without prompting and redirection from the aide. Student was more relaxed during the time the aide was not assigned to him and he interacted better with his peers. Ms. Burns gave him strategies to help him find out information such as learning to ask his classmates for help for information. Ms. Burns has not had a problem with Student in class. Although she acknowledges that he tends to fidget in his seat and sometimes to fidget with objects such as an eraser, none of his conduct has interfered with his access to his classwork or interfered with that of his classmates. Any significant behaviors that prompted Student’s prior school district to develop a BSP for him have long been extinguished. Ms. Burns was emphatic that she, as well as any other general education teacher at Rim of the World, is qualified and capable of redirecting what few distracting behaviors Student still demonstrates. 127. Mother’s contention is that the District has not proven through empirical evidence that Student does not need an aide. However, the District provided substantial evidence that the behaviors that triggered the previous need for a BSP and for a one-on-one aide have been extinguished. Ms. Klenske provided data obtained over several months prior to the April 23, 2012 IEP that Student’s behaviors were infrequent and were easily redirected by his teacher. Ms. Burns was quite firm in her summation that Student did not need an aide or a BSP. All assessors, such as Dr. Smith and Dr. Gutentag, concurred that they had seen no behaviors that set Student apart from his peers. Neither Ms. Longley nor Dr. Fuentes has observed Student in class. Dr. Fuentes did not address the issue of whether Student needed an aide in the classroom or needed a BSP. Ms. Longley believes that he does, but offered no concrete evidence to back up her contention. Mother therefore provided no evidence to contradict the District’s position that Student’s behavior can be addressed through interventions implemented by a general education teacher in the general education classroom and that he therefore needs neither a BSP nor a one-on-one aide. 128. Mother also contends that Student’s difficulties in writing are attributable to either his ADHD or to fine motor deficits. The District readily agrees that Student has deficits in writing. However, the assessment and recommendations from the Center, along with the evidence from Ms. Burns, demonstrates that Student’s difficulties with writing are presently attributable to his hurry to complete work and his inattention to his writing. Ms. Burns testified, and the Center found, that once Student slows down and concentrates, his writing improves. Mother provided no evidence, other than the fact that Student has poor writing that contradicts the District’s position. 129. Mother also believes that Student may have fine motor deficits that hinder his ability to write properly. Occupational therapist Jo-Ann Vargas disagreed with this contention as her testing of Student and her observation of him did not support a fine motor deficit. Mother provided no evidence to counter Ms. Vargas’s assessment. 130. Based upon Mother’s concerns, the District conducted an assessment as part of Student’s 2010 triennial assessment to determine if Student was exhibiting autistic-like behaviors. The results of the CARS assessment indicated that only Mother, in the home environment, rated Student as exhibiting behaviors that might indicate the presence of autism. The Diagnostic Center administered the ADOS, another assessment tool which looks for the presence of autistic-like behaviors in a child. The results of the ADOS were equally conclusive that Student did not exhibit autistic-like behaviors. Neither Dr. Fuentes nor Ms. Longley provided any evidence to contradict those findings. 1. The District contends that Student no longer requires special education supports or programming in order to access the general education curriculum. It contends that its position is supported by the independent educational evaluation administered to Student at his parents’ request by the Southern California Diagnostic Center the week of August 29, 2011. The District contends that the assessment was properly conducted. It further contends that the results of that assessment, when viewed in conjunction with the reports and recommendations of Student’s teachers concerning his classroom performance, other District staff who have observed Student, and the District’s December 2010 triennial assessment of Student, demonstrate that Student is no longer eligible for special education under the category of other health impaired (OHI) even though the District does not contest that Student has ADHD. The District further contends that the same assessments, observations, and reports also support its contention that Student is not eligible for special education under any other category, specifically autistic-like behaviors and/or specific learning disability (SLD). The District maintains that Student’s prior behaviors, which resulted in the provision to him of a behavior support plan and a one-on-one aide by his former school district, have been extinguished or are so infrequent that the behaviors can be addressed by a general education teacher in the classroom with accommodations but without other supports. The District maintains that there is no persuasive evidence that Student suffers from a specific learning disability that requires special education intervention, and no persuasive evidence that he demonstrates autistic-like behaviors that interfere with his access to his education. 16 Father, however, is in agreement with the District’s recommendations to exit Student. 17 All future references to the Code of Federal Regulations are to the 2006 edition. 6. California Code of Regulations, title 5, section 3030, subdivisions (g)(1) through (g)(7), sets forth the standards for determining a student eligible for special education services due to autistic-like behaviors: a) an inability to use oral language for appropriate communications; b) a history of extreme withdrawal or relating to people inappropriately and continued impairment in social interaction from infancy through early childhood; c) an obsession to maintain sameness; d) extreme preoccupations with objects or inappropriate use of objects, or both; e) extreme resistance to controls; f) peculiar motoric mannerisms and motility patterns; and/or g) self-stimulating, ritualistic behavior. 17. A local education agency may request a due process hearing when there is a disagreement about a proposal to change the special education eligibility of a child. (See Ed. Code, § 56501, subds. (a)(1) & (a)(2).) In general, IEP team decisions are reviewed using the “snapshot” rule, meaning that the actions of the District cannot “be judged exclusively in hindsight” but instead, “an IEP must take into account what was, and what was not, objectively reasonable . . . at the time the IEP was drafted.” (Adams v. State of Oregon (9th Cir. 1999) 195 F.3d 1141, 1149.) Here, however, the “snapshot” rule does not apply to limit consideration of Student’s current eligibility to what was known at the April 23, 2012 IEP team meetings because the District and Student stipulated that the District’s due process hearing request would be expanded to include the issue in terms of Student’s present eligibility. 21. However, although the failure to have a general education teacher of a student present at the meeting may be a procedural violation, it is subject to the “harmless error” rule. The Ninth Circuit has rejected the concept that the failure to have a general education teacher at an IEP meeting is a “structural defect” or per se violation of the IDEA. (R.B., supra, 496 F.3d at p. 938, fn. 4; L.M. v. Capistrano Unified School Dist. (9th Cir. 2008) 556 F.3d 900, 909.) Rather, this procedural violation is harmless error unless a student can demonstrate that there was a substantive impact on his rights or those of his parents. 25. Whether a school district has committed a procedural violation when it convenes an IEP meeting without the presence of a student’s parents is a decision made a case-by-case basis after reviewing all the facts of each case. For example, in an unpublished case, the Ninth Circuit found that the school district had violated the rights of the student’s parents to participate in the IEP process by failing to make any attempts whatsoever to reschedule an IEP meeting after the parents had informed the school district they could not attend on the date selected by the district. (Drobnicki v. Poway Unified School District (9th Cir. 2009) 358 Fed.Appx. 788, 789; 2009 WL 4912163; citing Shapiro, supra, 317 F.3d at 1078.) A school district must include parents in an IEP meeting “unless they affirmatively refuse to attend.” (Shapiro, supra, 317 F.3d at 1078.) Conversely, the Ninth Circuit recently determined that a school district did not commit a procedural violation of the IDEA when it failed to have a parent present at her child’s IEP meeting. In K.D. v. Dept. of Education, State of Hawaii (9th Cir. 2011) 665 F.3d 1110, 1124 (K.D. ), the school district wrote to the student’s parent suggesting three possible dates for the student’s IEP meeting. The letter also stated that the meeting would be held on a specific date if the parent did not respond. When the parent failed to respond to the letter, the district again wrote to her stating that it had set the meeting for the date stated in its previously letter since the district had not heard from the parent. The district thereafter held the meeting without the parent. The Ninth Circuit found that the district had made more than adequate attempts to persuade the parent to attend the meeting. Therefore, no procedural violation occurred when the school district held the meeting without her. 26. In this case, Student contends that his April 23, 2012 IEP meeting was procedurally infirm because Ms. Burns, at the time his second grade teacher, was not in attendance. Ms. Burns became very ill just prior to the meeting, which she had intended to attend. In preparation for the meeting, Ms. Burns wrote a report summarizing Student’s progress since his last IEP meeting, which she intended to present to the other IEP team members. When Ms. Burns realized she would be unable to attend the meeting, she contacted Ms. Blankenship, another second grade teacher with whom Ms. Burns traded classes on Fridays, to have Ms. Blankenship attend for her. Ms. Burns was diligent about reviewing her report with Ms. Blankenship prior to the meeting. Additionally, Student’s Principal, Ms. Dominguez, was at the meeting. Ms. Dominguez had also been present at Student’s December 11, 2011 IEP meeting and so had been participating in Student’s education planning. The District thus made every attempt to ameliorate the failure to have Ms. Burns present. 28. As in the K.D. case cited above, the District here made several attempts to have Mother attend an IEP meeting for Student in spring 2012. The first IEP meeting notice was sent to Mother by Mr. Elderkin on March 7, 2012, setting the meeting for March 23, 2012. Mother wrote back that she would not be able to attend the meeting, but gave no reason for her unavailability. Nor did she offer alternative dates. Mr. Elderkin immediately wrote Mother asking her to inform him when she would be available. Rather than provide alternate meeting dates, Mother’s next email to Mr. Elderkin stated that she did not want an IEP meeting and that therefore, there was no need for one. Mr. Elderkin then sent another meeting notice on March 26, setting an IEP meeting for April 13, 2012. Mother again informed Mr. Elderkin that she could not attend but again did not give specific reasons she would not be available. Mr. Elderkin then sent yet another meeting notice on April 11, explaining why the District wanted to have an IEP meeting. Mother immediately wrote back to Mr. Elderkin that she still did not see the need for a meeting. Mr. Elderkin promptly replied, reiterating the District’s reasons for the meeting. Mother’s response to Mr. Elderkin’s last email was to send the IEP notice back to the District with a hand-written notation that there was no reason to reschedule the meeting because the parent had not requested it. Mother overlooked the fact that “parent request” was only one of five reasons given as the purpose of the meeting on the IEP notice form. 29. Mother’s last email to Mr. Elderkin did inform him that she was dealing with the difficult situation and stress of her father’s terminal illness and having to assume responsibility for his business. Mother offered four alternative meeting dates, but conditioned her attendance on the District withdrawing its intention of having its attorney attend the meeting, even though Mr. Elderkin had previously informed Mother that the District had the right to have its attorney present and intended to exercise that right. Mother also again stated that she was not available on the date the District had scheduled its meeting. She also again failed to explain why she was unavailable. Mother also did not explain in her email why she was raising her father’s illness for the first time although he had known of the seriousness of his situation for several months. Nor did she explain at hearing why she had waited so long to explain her family circumstances to Mr. Elderkin so that the meeting could be rescheduled. 31. The first line of inquiry before determining if a child may be exited from special education is whether the child was properly assessed. In this case, the evidence demonstrates that the Diagnostic Center’s assessment was appropriate. The assessors from the Center were qualified to conduct the assessment tools they selected. Student was assessed using a variety of assessment instruments, ranging from standardized tests to observations, in order to determine his unique needs. The assessment instruments were appropriate given Student’s history of ADHD and his eligibility under OHI, as well as his history of behavioral issues, prior reference to possible pervasive developmental disorder not otherwise specified, and the lack of any concrete evidence that Student had an SLD. The assessment was not racially, sexually, or culturally biased, was given in Student’s primary language of English, and the assessment tools were valid for the purpose for which they were used. The Diagnostic Center provided Mother and Father with a comprehensive report that explained all of the assessments, the results, and which included the recommendation to exit Student as well as recommendations for classroom supports and accommodations in the general education environment. Although Diagnostic Center policy prevented it from attending student IEP meetings, the Center did comprehensively review its report and findings with Student’s parents and some of his teachers and service providers at a meeting it held at the Center. The report was discussed at two IEP meetings that the District had properly noticed. Father attended both meetings. Mother was invited to both as well; as discussed above, the District was justified in holding the April 23, 2012 IEP meeting without her. 32. Student’s assertions that the Center’s assessment was improper because it used the Southern California Ordinal Scales assessment rather than a standardized test was not supported by the preponderance of the evidence. The District was able to persuasively demonstrate through the testimony of Dr. Gutentag and Dr. Smith that the ordinal scales are an appropriate tool for determining an individual’s cognitive and developmental levels. Notably, the Student’s results on the ordinal scales were fairly consistent with his scores on the WISC-IV that the District had administered to him less than a year before the Center’s assessment. Notable too was Student’s lack of evidence supporting his criticism of the ordinal scales. Although Student criticized the test, he did not provide contrary test results on any other cognitive or developmental test. 35. As to eligibility under OHI, the District met its burden of demonstrating by a preponderance of the evidence that as of the date of hearing, Student was no longer eligible for special education under that category. Properly administered assessments, teacher reports, and observations of Student, demonstrated that he no longer presented the same challenges and deficits that had prompted Paso Robles, Student’s prior school district to find him eligible for special education and in need of a one-on-one aide and a behavior support plan in order to access his curriculum. By the time of Student’s April 23, 2012 IEP meeting, Student’s general education teacher, special education teacher, and the behavioral specialist who supervised data collection regarding Student’s behavior patterns, all reported that the conduct reported in Student’s BSP had either been extinguished or had decreased to such a degree that they were no longer a distraction for Student or his classmates. 36. Additionally, the District had removed Student’s aide and had not implemented his BSP for a period of approximately nine weeks when the District mistakenly believed it could unilaterally exit Student from special education. Instead of regressing academically, or increasing the frequency of his maladaptive behaviors during that time, Student’s behavior was the opposite. He continued his progress in the curriculum and appropriately accessed his curriculum without the special education supports. Ms. Burns was confident that Student had demonstrated that he did not need an aide and that the BSP was no longer necessary. 37. The District had referred Student for assessment by the Diagnostic Center at the request of his Mother. The Center administered a full battery of assessments to Student; according to Drs. Gutentag and Smith, the assessment was much more comprehensive that what school districts normally do. The Center used standardized and non-standardized measures, observed Student many times at school and during the testing process and provided reviewed his records extensively. Interestingly, the District’s referral to the Center had not mentioned the possibility of exiting Student. Rather, its referral asked the Center to help define the appropriate special education eligibility category for Student. The Center independently came to the conclusion that Student was no longer eligible for special education because the accommodations and modifications to the classroom that it recommended could all be implemented without an aide or a BSP and within the general education environment by the general education teacher. Significantly, the Diagnostic Center does not consider its assessment to be conducted on behalf of either the school districts of the parents of the child it is assessing. Rather, it believes that it represents the child. Dr. Gutentag’s testimony was therefore very persuasive because he had no reason to recommend exiting Student from special education if it was not appropriate. 38. Mother and Ms. Longley expressed true concern that Student’s poor writing and spelling skills could not be properly addressed without special education support. However, they had no concrete evidence to contradict the testimony of Ms. Burns, Ms. Gomes, Ms. Klenske, Dr. Smith and Dr. Gutentag that Student’s deficits stemmed from his hurry to finish work, a deficit which Ms. Burns emphatically stated she could address in her classroom. Importantly, neither Mother nor Ms. Longley focused on just how Student’s BSP, one-on-one aide, or time in SAI class, was helping to address that deficit. 39. When Student’s IEP team met on April 23, 2012, the team had a wealth of information supporting the position that Student no longer qualified for special education under OHI. The team again reviewed the Center assessment. It reviewed the progress report prepared by Ms. Burns. It reviewed the report of behavioral data collection and observations prepared by Ms. Klenske. It received input from Student’s special education teacher, and from Father and Grandmother. All sources concurred that Student no longer required an aide, no longer required a BSP, and could navigate the classroom and access his general education classroom with accommodations from his general education teacher. 40. The information considered by the IEP team established that, although Student’s behaviors in first grade might have been at-risk or clinically significant on some reports of the BASC-II, his behaviors in class by the middle of second grade were generally typical of other children his age. Student’s academic performance was at grade level in all areas except for writing and spelling, two areas of admitted deficit that could be addressed without special education support. Student’s behaviors were not interfering with his access to his education, his aide was only minimally interacting with Student in class, and Ms. Burns was redirecting him and supporting him through the use of visual charts, positive reinforcements, and other classroom management techniques that she utilized in her classroom as a matter of course. All of the District witnesses were in agreement on Student’s readiness for exiting. All gave credible and persuasive testimony. The testimony of Ms. Burns was particularly compelling because she had no motive to want to exit Student if he truly was not ready and if she truly did not believe she could accommodate his needs on her own. On the contrary, by supporting the recommendation to exit Student, Ms. Burns was guaranteeing the loss in her classroom of additional adult support. Surely, she would not have made the recommendation if she had felt that the loss of Student’s aide would negatively affect her classroom or her ability to teach. 41. Conversely, Student offered no persuasive evidence that demonstrated that from the time of Student’s April 23, 2012 IEP meeting to the date of this hearing, Student required special education services or that the services offered by District could not be successfully provided to Student in a general education setting. There is simply no evidence that Student cannot access his education in the general education setting without special education supports. The weight of the present evidence points to the contrary. 43. As stated above in Legal Conclusions 8 and 9, in order to determine whether a child has an SLD using the severe discrepancy model, two factors must be considered: 1) Whether the child demonstrates a severe discrepancy between ability and achievement, and 2) Whether the child has a disorder in one of the basic psychological processes (such as auditory or visual processing). If the answer to both questions is “yes,” the child is considered to have an SLD. A determination must then be made regarding whether, as a result of that SLD, the child needs special education. 44. In the instant case, there was no compelling or persuasive evidence that Student has a severe discrepancy between ability and achievement. None of Student’s IEP teams have ever found Student eligible for special education under the category of a specific learning disability. Student’s former school district never suspected it. Student’s academic performance had been at or slightly above grade level while attending school in Paso Robles. His academic performance since coming to Rim of the World has been at grade level in all subjects except writing and spelling, the Student’s two weakest areas. No one suspected an SLD until Dr. Smith conducted his psycho-educational assessment for Student’s triennial at the end of 2010. However, in spite of the emphasis that Mother placed on Dr. Smith’s statement that Student’s IEP team should consider whether Student had an SLD, the results of Dr. Smith’s administration of the WISC-IV versus the results he obtained from Student on the WJ-III simply do not rise to the level of a severe discrepancy between ability and achievement. Dr. Smith explained that Student’s Full Scale IQ score of 91 was almost identical to most of Student’s academic achievement scores on the WJ-III. Student’s scores in some academic areas, such as brief math, were considerably higher than his FSIQ, indicating that Student was performing at a higher level than what would be expected based on his FSIQ. Dr. Smith further explained that he brought a possible discrepancy in Student’s scores to the attention of Student’s IEP team for its consideration because he was being conservative with looking at Student’s possible needs, not because Student’s scores demonstrated a severe discrepancy. 45. Dr. Gutentag was quite firm in his testimony that there was no reason to suspect Student had an SLD. Based upon the results of the ordinal scales, Student was functioning at an age-appropriate cognitive and developmental level. Dr. Gutentag persuasively testified that Student’s previous assessment scores did not rise to the levels of a severe discrepancy even if one only compared Student’s high score of 108 on the verbal comprehension subtest of the WISC-IV to Student’s lowest scores on the WJ-III. Dr. Gutentag acknowledged that a more pronounced discrepancy could be found when comparing the verbal comprehension score to Student’s lowest score of 88 on the reading composite of the KTEA-II assessment that the Center administered to Student. However, Dr. Gutentag also opined that it was not appropriate to use just one subtest score of the WISC-IV as the score for measuring IQ. He also opined that it was not good practice to compare scores from assessments not administered at the same time. The Center assessed Student many months after the District assessed him. 46. Further, as discussed above, Student’s arguments advocating the use of Student’s GAI score to determine severe discrepancy was not supported by the evidence since it appeared that Ms. Longley had never properly computed Student’s GAI score. 47. Furthermore, there is no evidence to support a finding that Student has some type of processing disorder. Student’s evidence focused solely on the possible discrepancy between Student’s IQ scores and his academic testing scores. She presented no evidence addressing what type of processing disorder, if any, Student demonstrates. Without this evidence, Student cannot meet the second prong of the criteria for determining the existence of an SLD. 48. As explained in Legal Conclusion 8 above, the other method of determining whether a child has a processing disorder is by evaluating Student’s educational circumstances, including: 1) data obtained from standardized assessment instruments; 2) information provided by the parent; 3) information provided by the pupil’s present teacher; 4) evidence of the pupil’s performance in the regular and/or special education classroom obtained from observations, work samples, and group test scores; 5) consideration of the pupil’s age, particularly for young children; and 6) any additional relevant information available. Here, there is no evidence in the record to support a finding that Student has a processing disorder based on this type of evaluation. 49. As discussed above, Student’s standardized test scores do not indicate a severe discrepancy between ability and achievement, even when the GAI is used. Mother’s evidence centered on Student’s poor handwriting and spelling skills, neither of which independently support a finding that Student has an SLD. The information provided by Student’s general education and special education teachers contradicts a finding of an SLD. Ms. Burns reported that Student had made notable progress in academics in her class, advancing substantially in his reading scores. He was on grade level for all academic subjects except writing and spelling, which are his acknowledged deficits. Student’s report cards reflected the information and testimony provided by Ms. Burns. Observations of Student completed by Dr. Smith, Dr. Gutentag, and Ms. Klenske all indicated that Student was successfully accessing the general education curriculum. The work samples provided by Mother demonstrated only that Student had difficulties with handwriting and spelling, two areas in which his deficits are acknowledged. To date, however, those deficits have not negatively impacted Student’s progress in his academic subjects. The evaluative model also considers a student’s age, particularly for young children. Here, Student was assessed when he was just beginning second grade. As Dr. Fuentes acknowledged, the existence of an SLD usually does not manifest itself until third or fourth grade. Student’s grade level was too low to concretely determine the existence of an SLD. Finally, the evaluative model looks at additional relevant information about a student. In this case, as discussed in detail above, the testimony of the District’s experts was much more persuasive than that of either Dr. Fuentes or Ms. Longley, neither of whom had assessed Student. As of the date of this Order, Student is no longer eligible for special education. Pursuant to California Education Code section 56507, subdivision (d), the hearing decision must indicate the extent to which each party has prevailed on each issue heard and decided. The District prevailed on the sole issue decided.